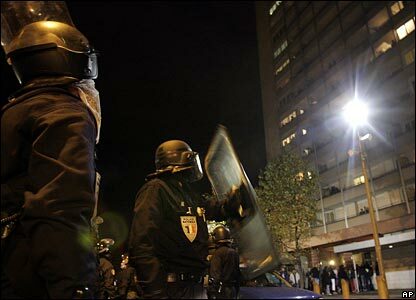 Riot police were out in force in north-east Paris on Wednesday night during a seventh night of rioting. 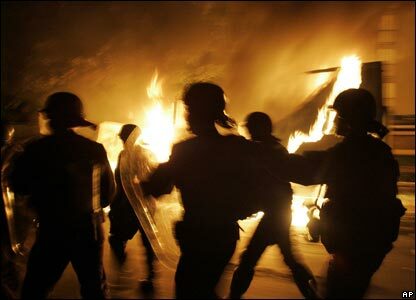 Once again, youths came on to the streets, setting light to vehicles in the suburb of Le Blanc Mesnil. In nearby Aulnay-sous-Bois police tried to bring the situation under control. 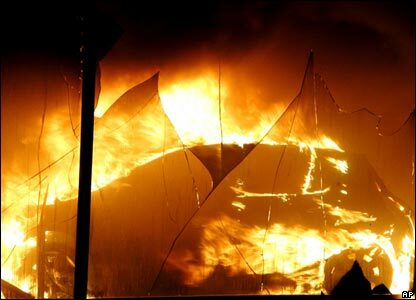 Residents of the poor, largely ethnic suburb watched from their windows as a car showroom went up in flames. 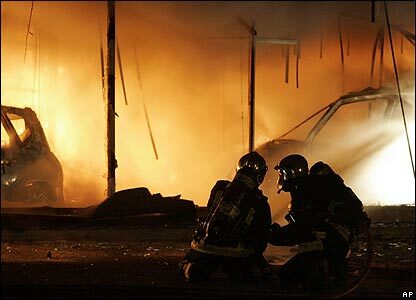 As assets burned, France's politicians were struggling to find a formula to end the violence. 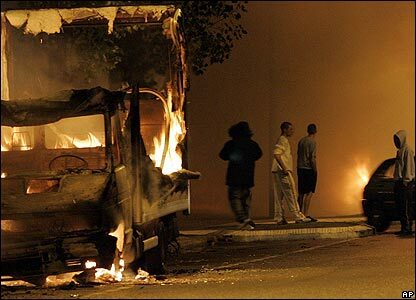 French Interior Minister Nicolas Sarkozy blamed "thugs", but others condemned the deprivation in France's "banlieue" suburbs.